For those of you who have been itching to try scratch cards, or more commonly known as “scratchers”, bonushitlist.com has once again searched and then researched the most trustworthy sites to fulfill your needs. If you’ve never tried them before, or just would like a free chip to play them, we also have several no deposit bonus offers available and some very attractive deposit bonuses to satisfy your craving to scratch on…..
Scratch cards first gained popularity in bingo rooms and then became commonly known by being utilized by countries and individual regions and states as a tamper-proof and equitable way to generate income while still returning the majority of revenue to the public. With the growth of the internet came an equal growth and demand for this popular game of chance. There are many variations of Scratchers, but all carry the same basic design of hidden amount that are revealed by the player to determine what amount, if any will be won. In some respects, it is an abbreviated slot machine, with the results being revealed without much extraneous decoration. 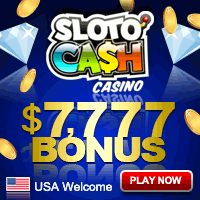 As is the case with all no deposit and deposit bonuses, It is of utmost importance that you read and follow the terms and conditions when utilizing any for scratch cards. Our scratch card listings provide the most relevant bonus information at your fingertips and include a filtering feature to personalize your search and return only the results that apply and/or those which you prefer. So, go ahead……..scratch that gambling itch! The registration is done within minutes and PrimeScratchCards welcomes every new player with two bonuses: free $5 no deposit bonus and 100% match up bonus on first deposit up to $200. There are also daily match up bonuses, cashbacks, tournaments, raffles, jackpots as high as $ 1 million, and regular users can expect an invitation to Club Pearl, which brings even more special offers and exclusive games to its members. 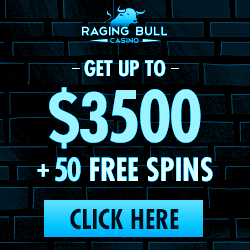 Every player who completes the registration process gets a welcome $5 bonus, although in order to cash out, the player must make at least one deposit. There is also a 100% matching bonus on first deposit, a $25 bonus for inviting friends to play and an 888play VIP club which offers elite promotions, better deposit deals, exclusive games, contests, tournaments and raffles for its members. All games are Flash-based and can be played in browser so no download is required, but to play, the Crazy Scratch patrons must register their account first. 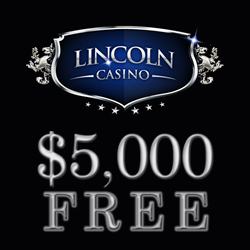 Registration process is simple and done in mere minutes, and after it’s done, the players get free $5, no deposit required, to test out the games. New players can also get a 100% cash match on their first deposit. Winnings.com offers its new users £5 free no deposit bonus upon a successful registration and a sign up bonus of 100% on their first deposit up to £200. The regular Winnings.com patrons are eligible to claim any of the special offers and promotional bonuses such as match up and new game bonuses, cashback offers, raffles and tournaments, and the most loyal Winnings.com players are rewarded through the exclusive Club VIP, which offers its own set of generous promotions.